When Sheffield entered the gym that afternoon, he knew it would be like any other "heavy" day. Some squats, some sweat, and some stolen looks from the female coeds milling about. What he didn't know, was that his eyes were about to be opened to a whole different world by Buddy, a seemingly un-athletic new guy. 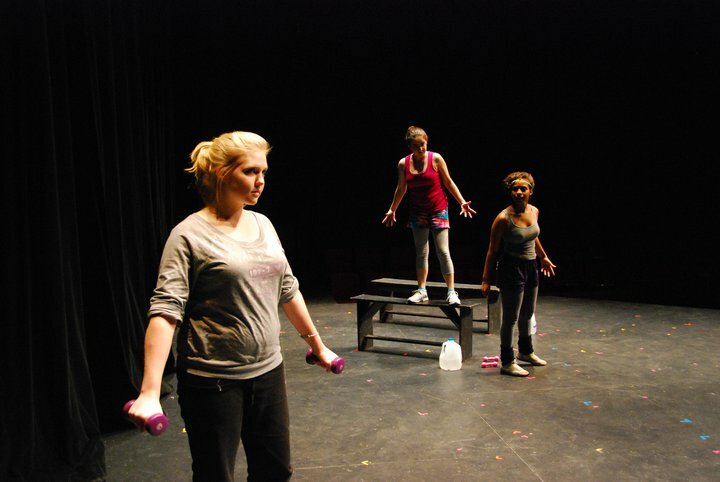 BIG WEIGHT premiered on December 3, 2010 at Bradley University's Hartmann Center for the Performing Arts, in a production directed by Becca Wenning. BIG WEIGHT was one of many one act plays that were performed in conjunction with New Faces 2010. BIG WEIGHT made it’s Chicago premiere on July 22, 2019 with The Right Brain Project. Extroardinary premiered as a part of the world's largest Sci Fi / Fantasy Play festival in the world on October 1 & 2, 2016 in conjunction with Otherworld Theatre. 13 Going on 31 premiered at the 13th Anniversary Speakeasy for the Right Brain Project Theatre on February 18th 2018.